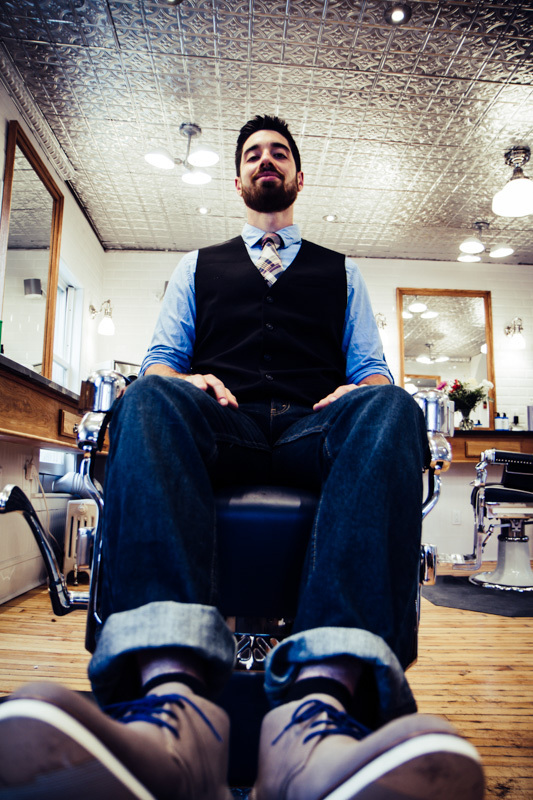 We've been Nominated for the best Barbershop in Vermont!! We're honored to nominated for a Seven Daisy. 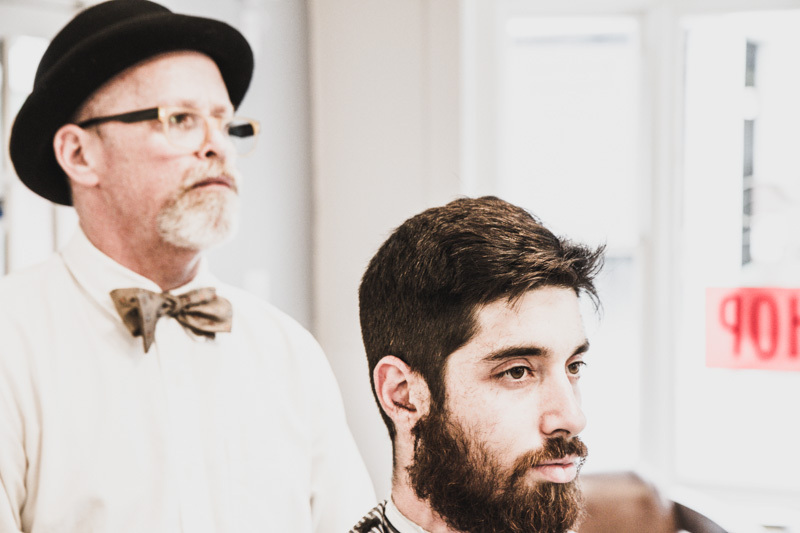 Don't forget to vote for us for the Best Barbershop in Vermont. Voting closes on Tuesday June 28th at noon. Baxter of California bars of soap are made by a local company Twincraft Skincare in Winooski, VT. Twincraft is a privately held company that was started in 1972 by twin brothers Bob and Dave Asch. Today it continues to run by Pete and Richard Asch (sons of Bob Asch). They produce over 110,000,000 bars of specialty soap each year. They use GMP, FDA (OTC), RSPO (Rountable for Sustainable Palm Oil) and certified organic compliance. It makes us proud to offer a great Baxter of California product that is made in Vermont. 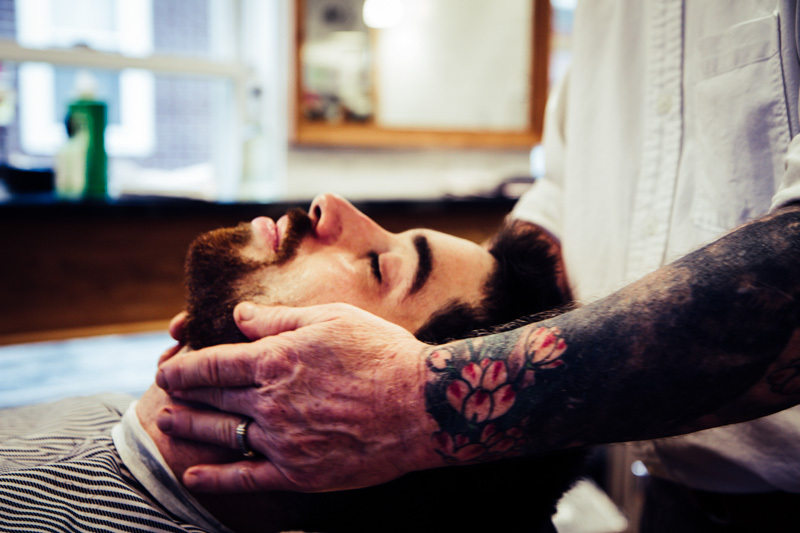 Stop into Myles Court Barbershop in Montpelier, VT and check out the line of Baxter of California products. We're the only store in Vermont to carry Baxter of California. I ran into a good friend, Eric, and I mentioned his beard was getting a bit scraggly. 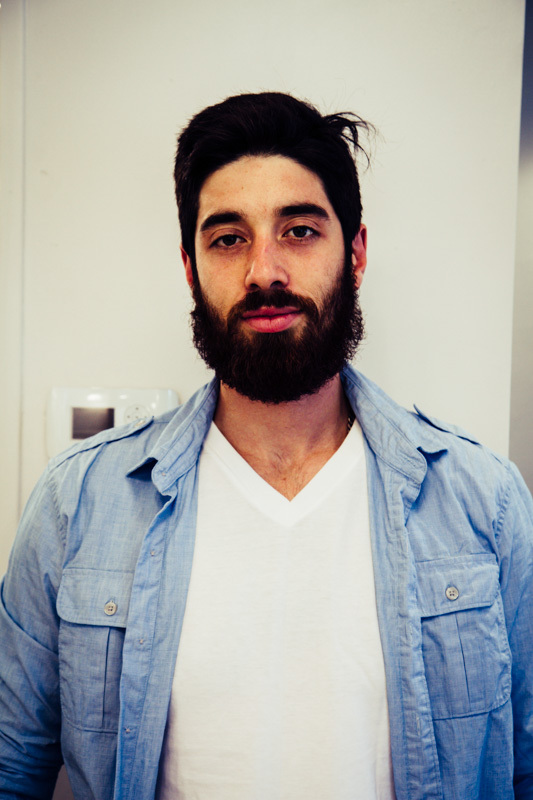 He said he was going to cut if all off, his girlfriend had had enough of the "Grizzly Adams" look. In a quick second I knew we had our perfect participant for the Myles Court Barbershop Clean-Up. 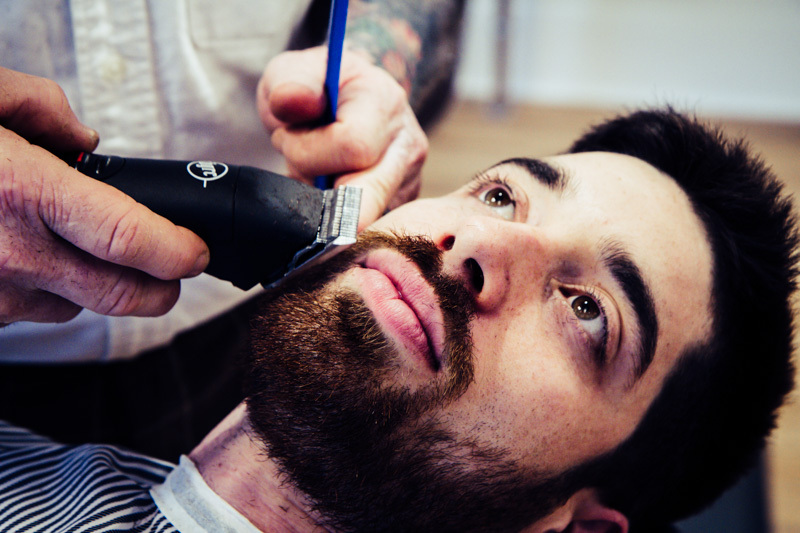 A week later Eric came down to the shop in Montpelier with his girlfriend Hannah. She was over-the-top excited to have Eric groomed. She was so supportive that she brought down a few outfits just incase we needed to give him a couple of "looks". They were so new they still had the tags on them. Hannah was not going to miss out on an opportunity to get Eric cleaned up and dressed appropriately. She was so excited she had already planned dinner after the shoot to show him off to her family. I love it when partners are supportive of Clean-Ups. So we begins Eric's cleaning up to meet the family. I can't thank Eric and Hannah enough for their support in helping making a great photo shoot. 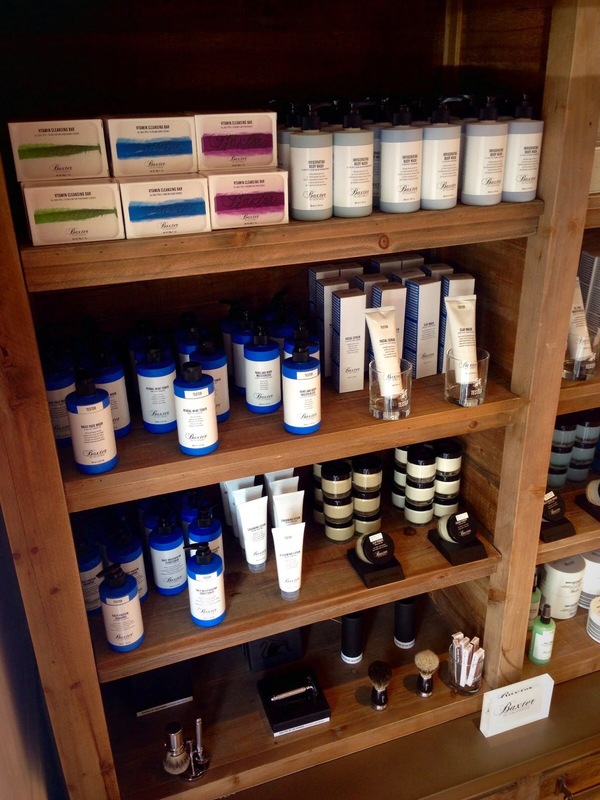 We are excited to be the only shop in Vermont to offer the amazing products from Baxter of California. 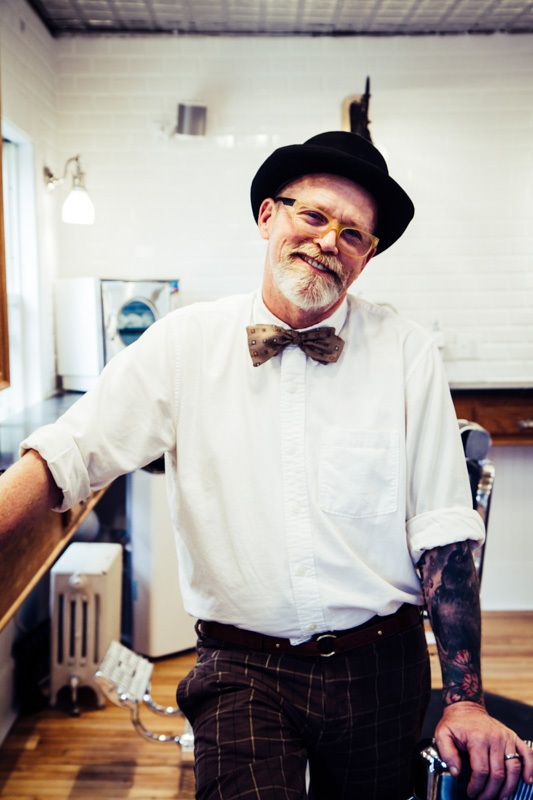 After product testing many different companies we felt the Baxter scent, product line and support was the best fit for Myles Court Barbershop in Vermont. 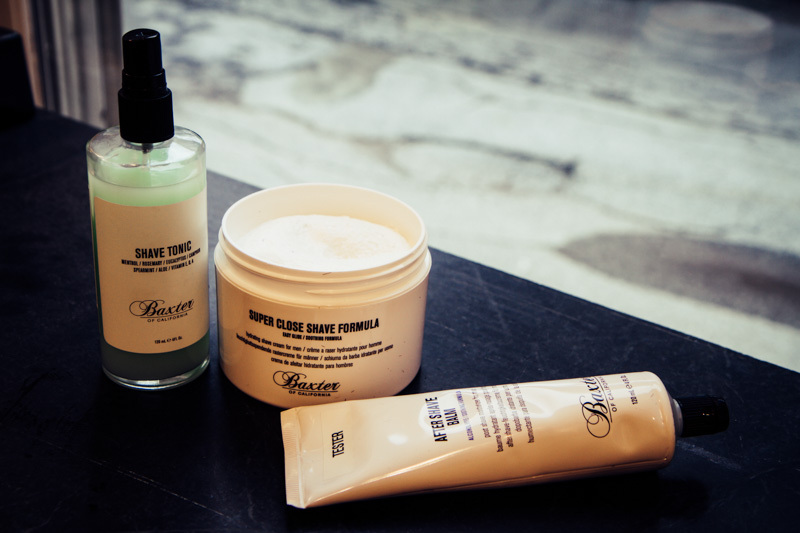 Baxter's clay pomade is one of their most popular products for the cool managed look. We are also excited about their shaving techniques. Come check out our new display. $2,000 Raised for The Lost Nation Theater!!! What a great first week. We donated all proceeds to The Lost Nation Theater. The response was overwhelming. We are truly grateful for the generous support from the community to an amazing organization. We saw the show on Friday and were blown away by how talented Kathleen Keenan & Maura O'Brien were in the show. Their chemistry together was spot on. Excellent job!! 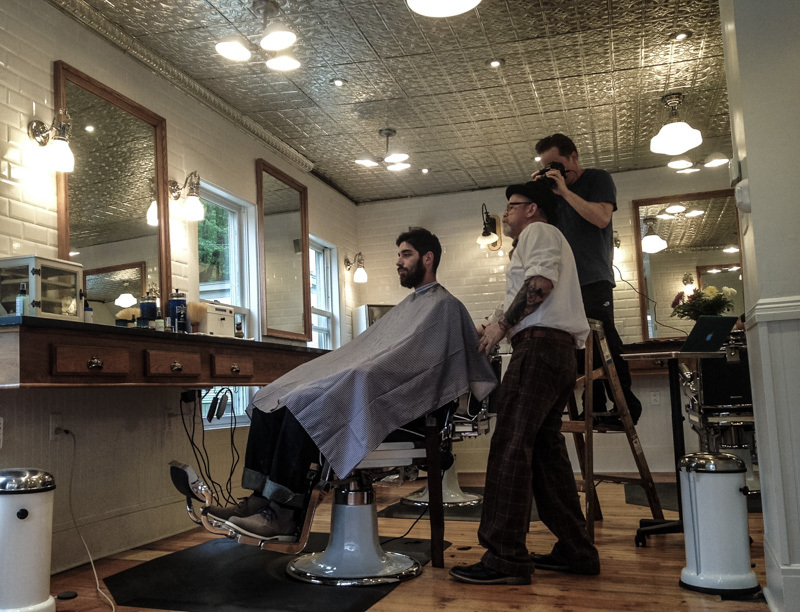 MONTPELIER — A new barbershop has opened in town, and its owners kicked off their new business by fundraising for the local arts scene. 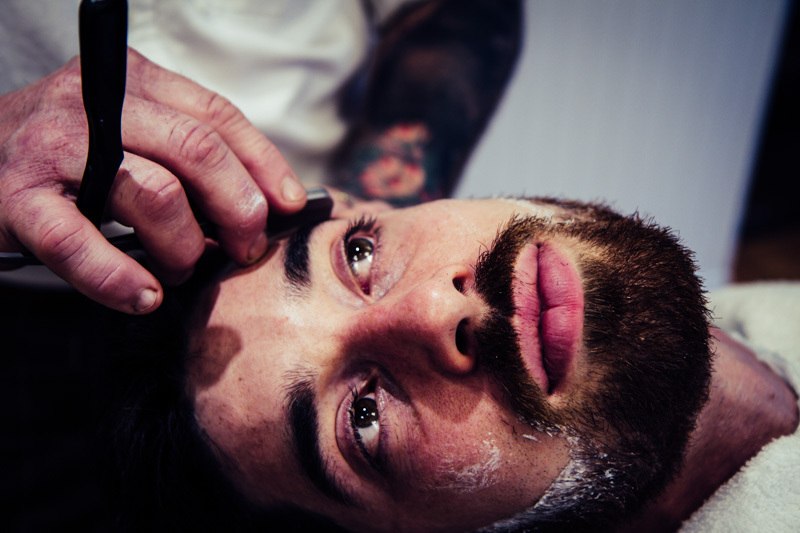 Myles Court Barbershop’s opening was last Thursday and for one week the shop raised money for Lost Nation Theater. Owner Paul Somerset said they were able to raise just under $2,000. “We had a huge outpouring of support for the Lost Nation,” said Somerset. Folks at the shop suggested a donation of $15 that could either go to Lost Nation Theater or the Humane Society. Customers would donate in exchange for a haircut. Somerset said that Lost Nation Theater has always had a place in his heart, ever since he moved to Montpelier five years ago from Addison County. “I decided that Montpelier was going to be OK to live in because of the theater. I could get out of my garden clothes once in a while and go down to the theater,” he said. Somerset said Kathleen Keenan who is both the producing artistic director for Lost Nation Theater and the lead in “Always, Patsy Cline,” which opened Thursday night, came in to get her hair cut. Somerset said he planned to hand over the money raised to Lost Nation at the opening. 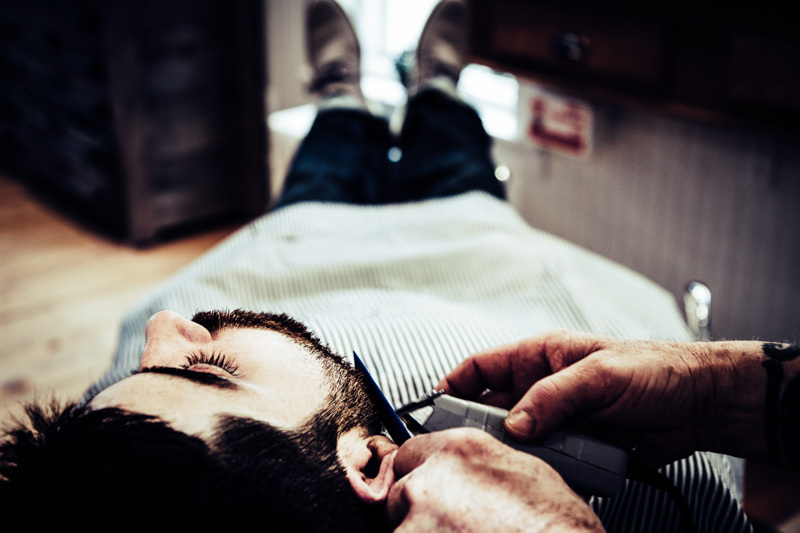 Myles Court is more than just a hair cutting joint, but an experience, said Somerset. 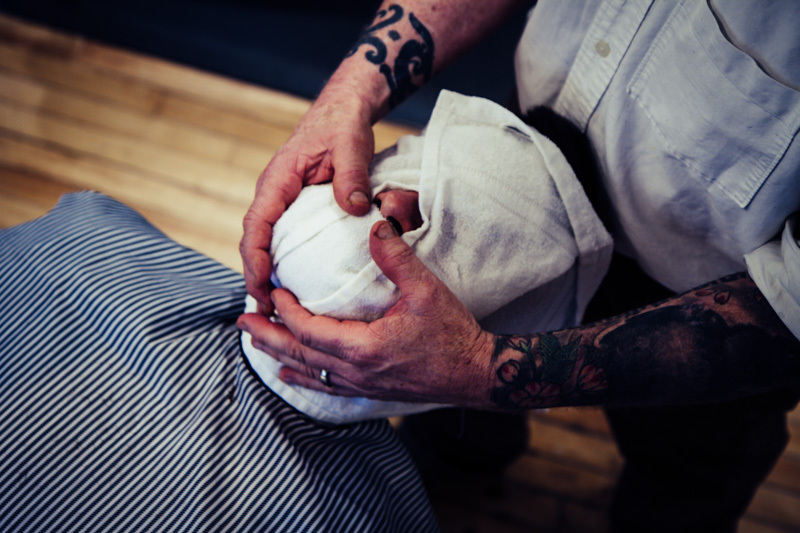 “We offer traditional barber services in a traditional barber setting,” he said. 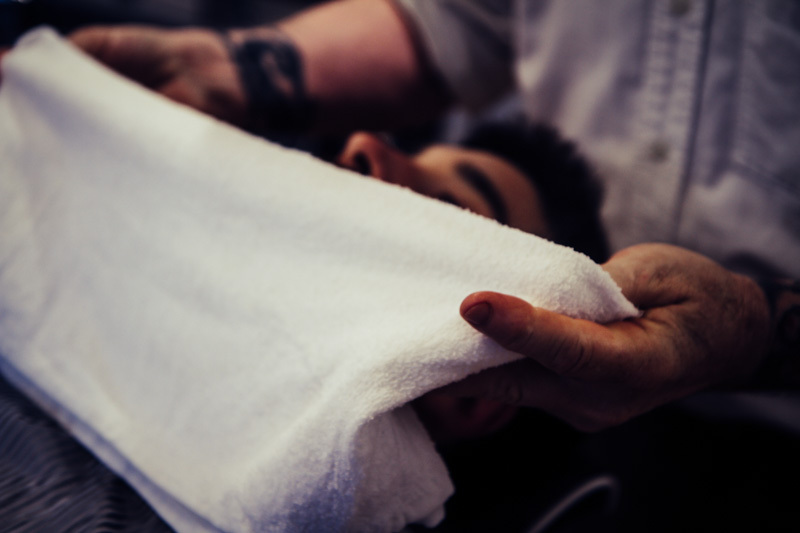 The shop offers cuts, hot shaves, hot towels and moisturizing. The barbershop was named after its street intersection at East State Street and Miles Court. Somerset said he and his partner, Sean Meyers, decided to change the spelling to Myles because they wanted the name to have a more English feel, as the style of the shop in general is English in nature. 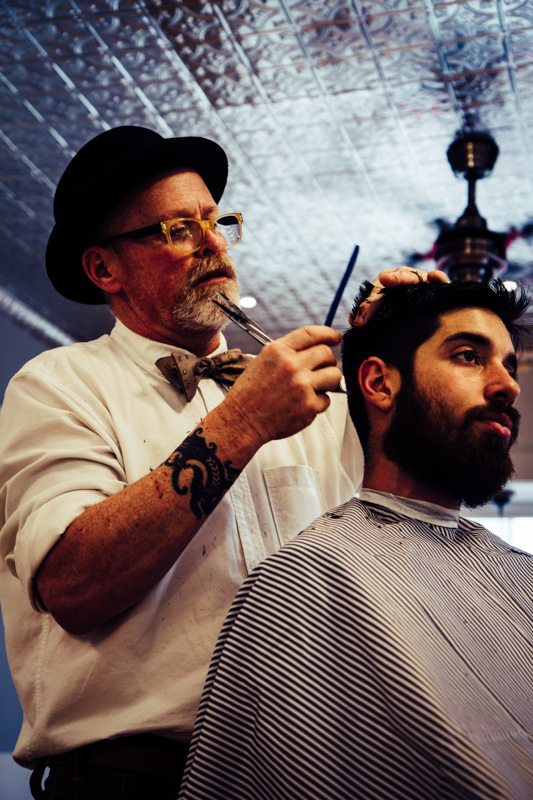 Meyers said traditional barbershops may be less popular than they used to be in the United States, but that is not true for England, which he said he visits often. 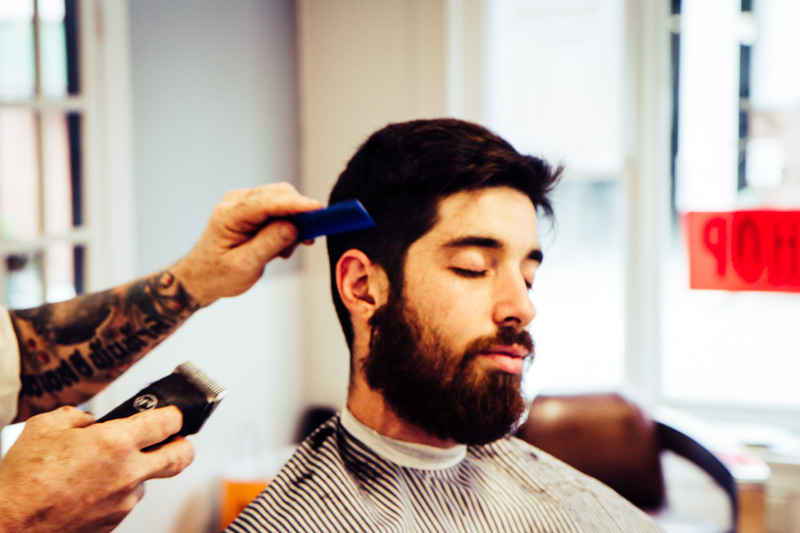 Somerset said that he opened the place with his co-barber Todd Wheeler in mind, who he called the certified master barber and barber to the stars. Wheeler moved to Vermont just six weeks ago from Los Angeles for the opportunity. 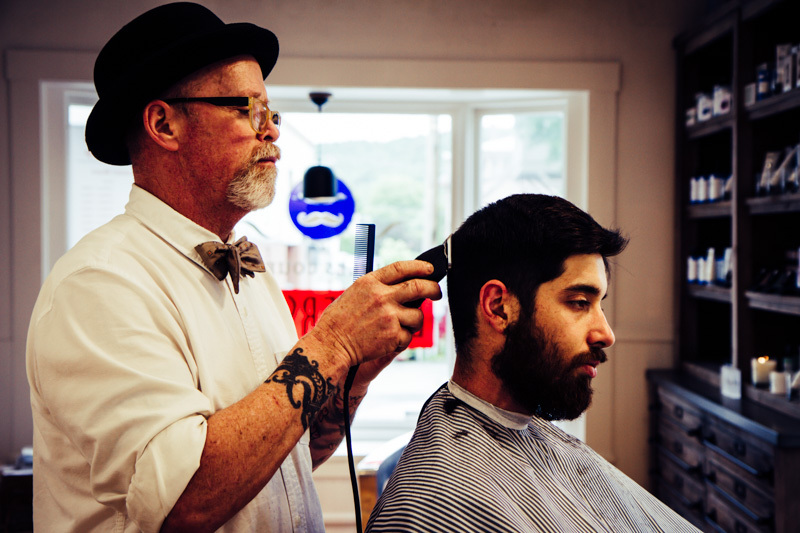 Wheeler, who has been cutting hair for 27 years, said he was the youngest licensed barber in the state of California at the age of 17. Neither he nor his father were allowed to receive screen credit for the films because that would require them to be in a union, at least when you are the key hair stylist, according to Wheeler. He has been enjoying his new life in Vermont. “I lived in L.A. for 24 years and in six weeks here I’ve made more lifelong friends that I’ll keep until the day I die than I made in 24 years,” he said. Somerset said more fundraisers may be down the road. “I just love being a part of the community,” he said. It's not even a week and we've been able to raise just over a $1,000 for The Lost Nation Theater and Central Vermont Humane Society. The community response has been amazing! We appreciate the customer feedback. We have a few more days left so come down to celebrate our soft opening and support the community. All short styled haircuts through next Friday are for a suggested donation of $15 that will be paid directly to Lost Nation Theatre or the Central Vermont Humane Society. We aren't "officially" open so we do not have the hours posted and there a few things to finish up. Come on in and help us break in the fully restored Belmont Chairs. It's been a long year but things are finally coming together. The signs on the window and the chairs are in there places. The shop has come a long way. Pre-Demo Space after former tenant vacated. We've passed our building inspection and we're heading for our state license inspection. 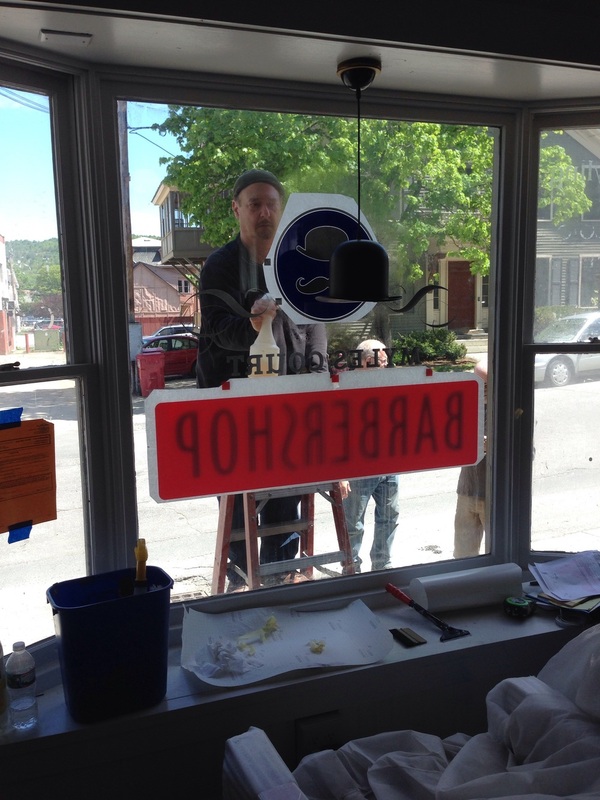 The unveiling of the sign on a beautiful day in Montpelier, VT. The dream is slowly coming together. BARBER CHAIRS ARE ALMOST READY!!! Received an Email with an update on the Belmont chairs. They are almost done. Two of them are complete just waiting on the other two. Myles Court Barbershop is slowly coming together.